I had been playing with the idea of converting the Dana 44 from drums to discs when the time came to redo the brakes. Researching showed there were several ways to do it ranging from easy to more difficult. Easiest and most expensive is purchasing an aftermarket disc brake kit. There is the option of using Ford Explorer backing plates and calipers, which will require minimal modifications. 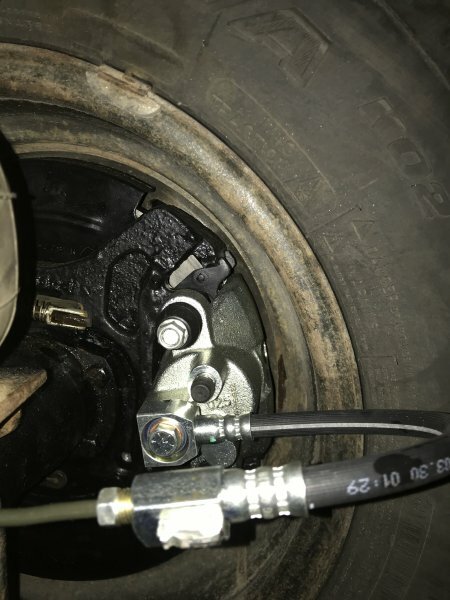 The other thing that a number of guys have used is Crown Vic backing plates and calipers, which use the same rotor as the Explorer, but have a trailing and leading caliper setup. And finally the is using backing plates and calipers from a Dana 35. This option appeared to be the most difficult to do and it required heavy modification to make it work. After researching I opted to use the Explorer for my disc conversion as its cheap ~$280 if you use mostly junkyard parts and pretty straight forward. I used the following writeup as my primary resource for information: https://www.naxja.org/forum/showthread.php?t=967146. The first modification needed to use Explorer backing plates is the bolt pattern. 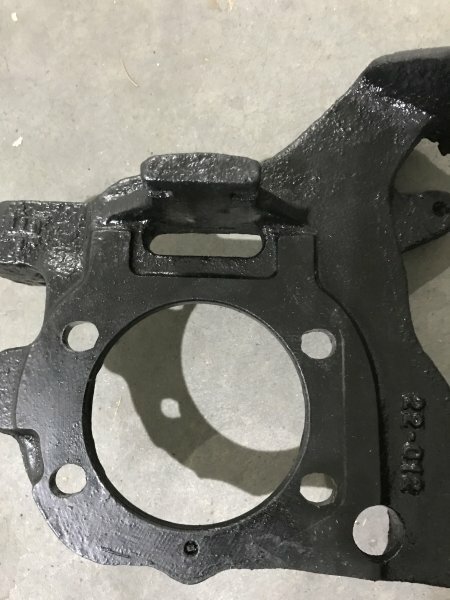 The Explorer backing plate has an axle housing bolt pattern that closely resembles the MJ/XJ D44. This gives a horizontal difference of 7/32" between the axle housing bolt patterns. The Explorer backing plate needs the holes to be inwardly elongated 7/32" for them to bolt onto the D44 housing. A Dremel with a carbide bit made quick work on elongating the Explorer backing plates. Remove about 1/8" inward side of each hole. I used the D44 retaining plate as a template and to measure when I had removed enough material. When removing the metal with the carbide bit wear gloves. The shaving that are created are super irritating if you get them on the skin, and hang around forever if you don't vacuum them up. Here's the D44 retaining plate over the Explorer backing plate after elongating the holes. Finally a test fit of the backing plate on the D44 after elongating the holes. The second problem that needs modification is compensating for the difference in thickness between the Explorer backing plate vs the D44 drum backing plate. Giving a thickness difference of .225" between the two. You can have a machine shop custom make a spacer to make up the difference or you can go the easy route and look to Teralex. Teraflex uses a spacer in the aftermarket D44 conversion kit they sell to compensate for this difference. A search on the webpage showed the spacers to be available for purchase by themselves, PN 86261, for $6.99 each. The spacer are .226" thick. The addition of the spacer will require the axle shaft bearings be replaced. 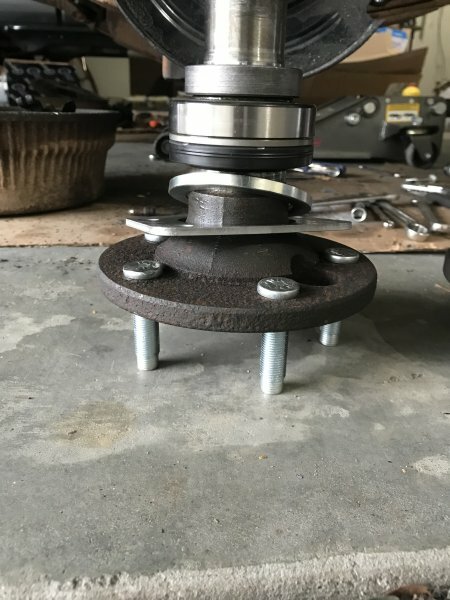 When you go to press axle shaft bearing assemblies on the spacer will go between the D44 retaining plate and the oil seal. Make sure the tapered side of the spacer is facing the oil seal. I read conflicting reports of whether or not the stock wheel studs would work. It varied on what material the rims were, steel vs alloy, and the back spacing of the rim. I run the 90's era stock steel D-window rims. 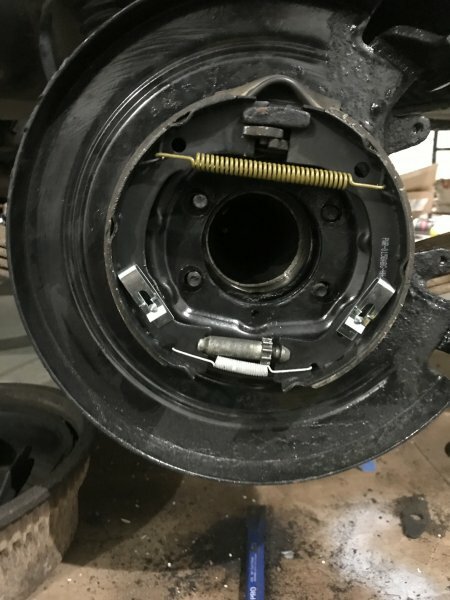 Before I pressed the new axle bearing assemblies on I did a test fit the Explorer setup for thread engagement on the lug nuts. Using the old oil seal I put the axle in place with the retaining plate and spacer. 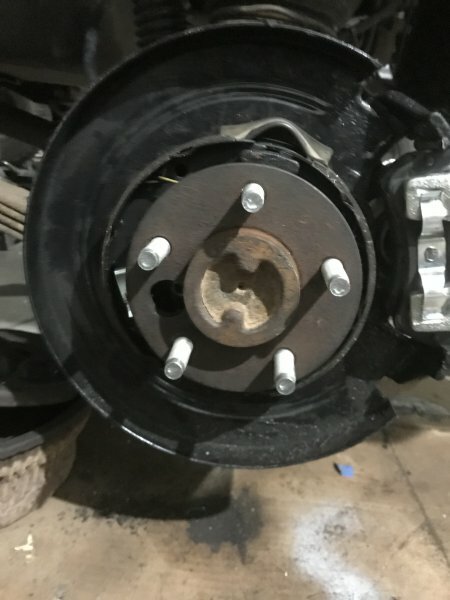 The stock wheel studs appeared to be just long enough. I was able to get 5 - 6 full rotations on the lug nuts. 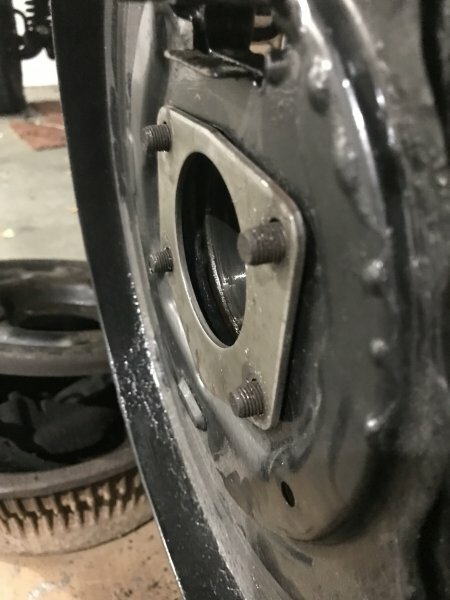 That was not enough engagement for my personal comfort so I changed out the wheel studs with some Ford 8.8 disc brake rear wheel studs, Dorman PN 610-368. Axle bearing assembly with Teraflex spacer pressed onto the axle shaft. Parking brake shoes and hardware need to be installed before the axle shafts can be installed. When trying to put the axle shafts in the the Teraflex spacer kept falling down. To keep it centered and in place I put a few dabs of Ultragrey RTV on the spacer to essentially glue it onto the retaining plate. - Bolt Circle Dimensions: 4.5"
Again, the difference between the two, Explorer vs ZJ, is practically negligible. I went with the ZJ rear rotors due to the two issues that I read about with the Explorer rotors. Oddly enough I never read of anyone using the TJ Rubicon rotors. However, based off of measurements the change of brake pad drag would still be a possibility. 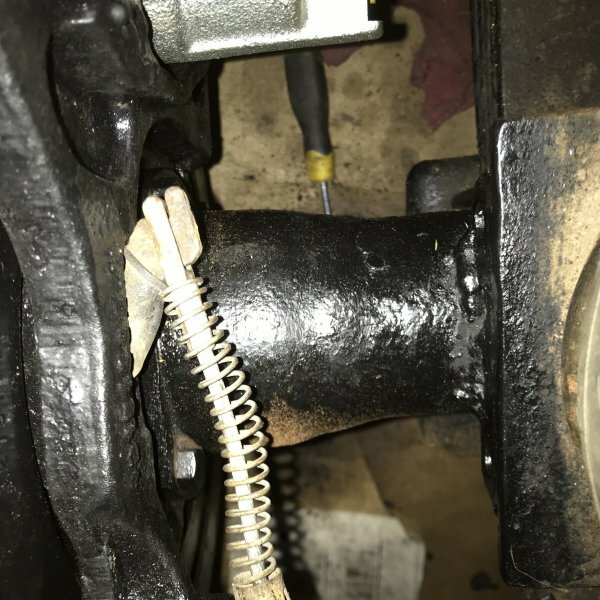 The stock steel brake lines on the D44 will be too long, which will require them to be modified or replaced. I replaced mine as I don't know when the hardliners were last....if ever replaced. The hard lines were run to the rear towards the back of the spring perches. To connect the hard line to the caliper, I used two passenger side lines for an Explorer. 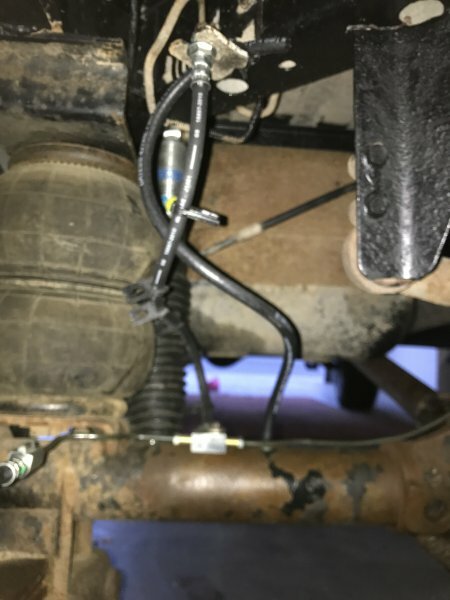 I have them running horizontal and inline with the leaf springs to prevent them from getting snagged or caught on anything. 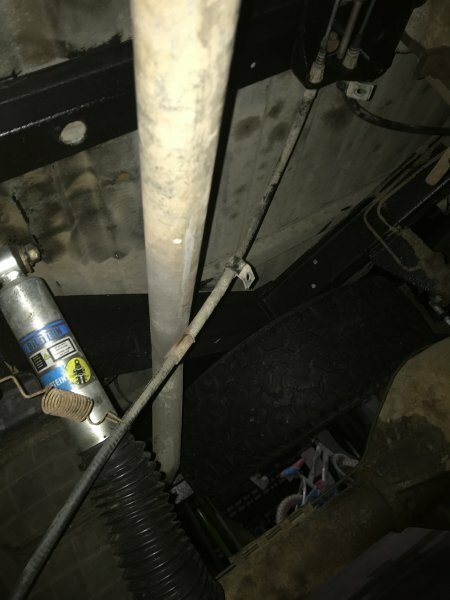 While I was doing brake lines the soft line running from the D44 to the bed was clearly the stock length and didn't allow for any flex. 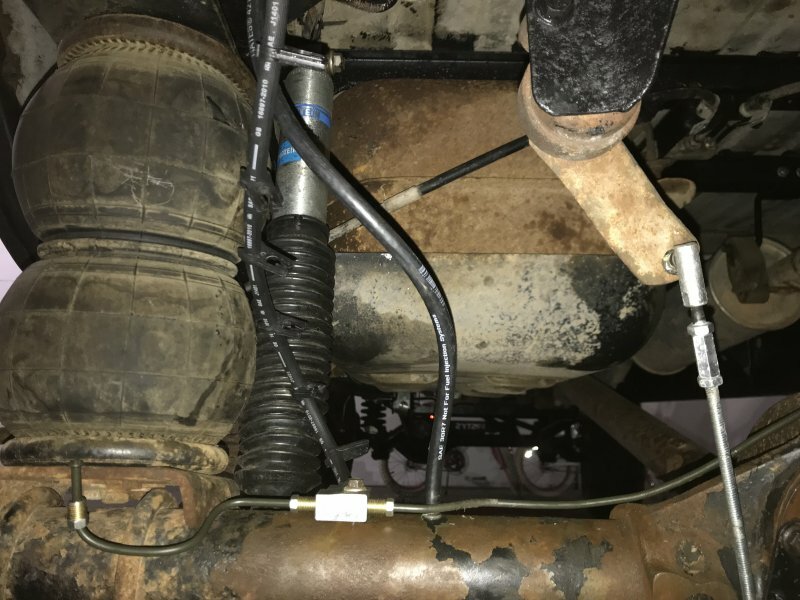 A longer brake hose from a Dodge Dakota was put in as well. I actually went with a fourth option. I thought what about using ebrake cables from a ZJ with disc brakes. I found a pair on a Zj in the junkyard and threw those on. The length is snug but long enough with no modifications needed. I remember reading mixed information on which rims and backspacing will work. I vaguely recall hearing the 90's era 5 spoke and 11 spoke stock rims wouldn't fit. But when researching the stock Explorer rims were the same size and dimensions as Jeep so there is no reason why they shouldn't fit. 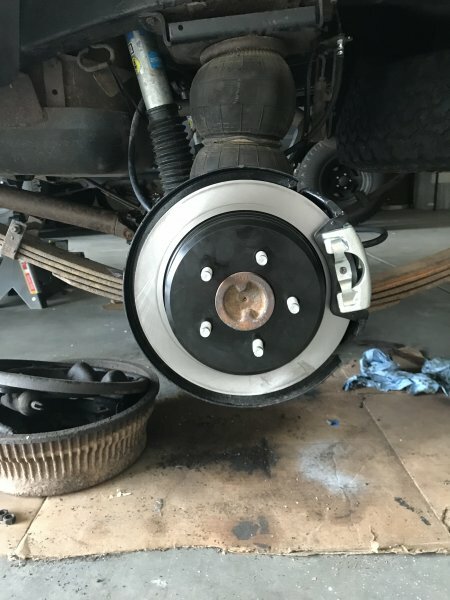 Further reading led me to believe some people were mixing up Crown Vic brakes. Stock rims most likely will not fit with that setup as the stock rims are 16" rims. But that's just me making conjectures. Anyways, the stock rims had plenty of clearance for the calipers. 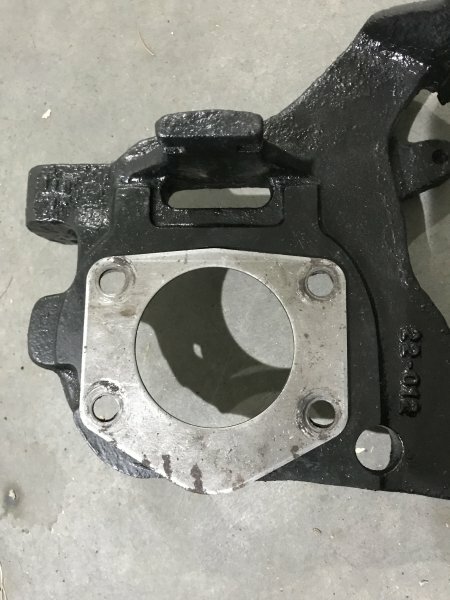 Several post discussed swapping out the stock single diaphragm brake booster for a dual diaphragm as well as a prop valve for one from a ZJ with disc brakes to provide better braking pressure on the rear discs. I've already swapped in a dual diaphragm booster and I still have the MJ prop valve as my load sensor still functions. Thus far driving around the brakes have worked flawlessly and if the load sensor fails I can install a wildwood adjustable prop vale on the rear line. I'll have to look into this when I do my 44. Got a really rusty one I'm gonna gut I guess and sandblast and use it in a 4 link build and swap to discs since all the brake parts are junk.